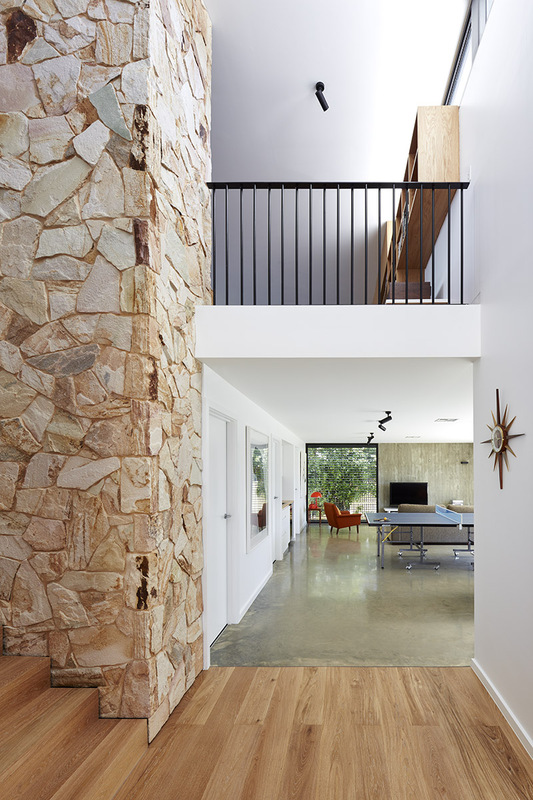 PR House is a unique beach home to replace the client’s dilapidated but loved 1960's beach shack. 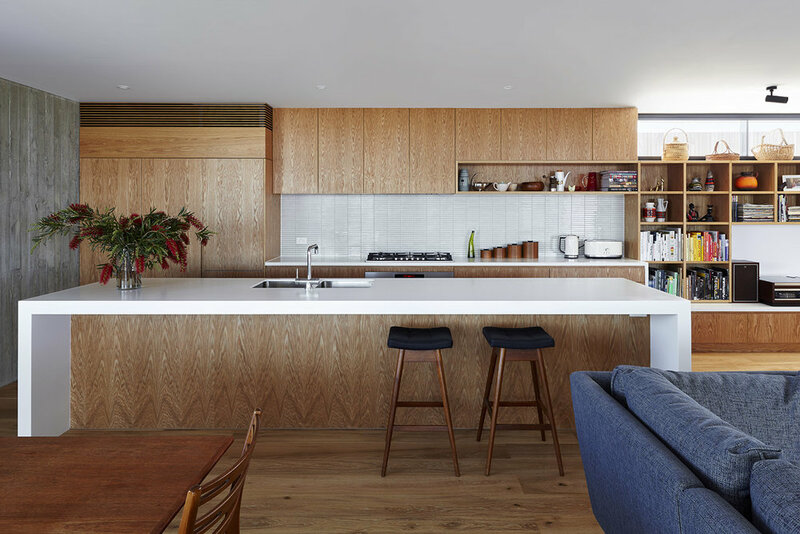 To maintain a ‘shack’ feel, materials are natural, robust and low maintenance, and the simple square footprint was influenced by the previous dwelling. A generous balcony maximises beach views and outdoor living space, doubling as the kids’ upstairs playground. 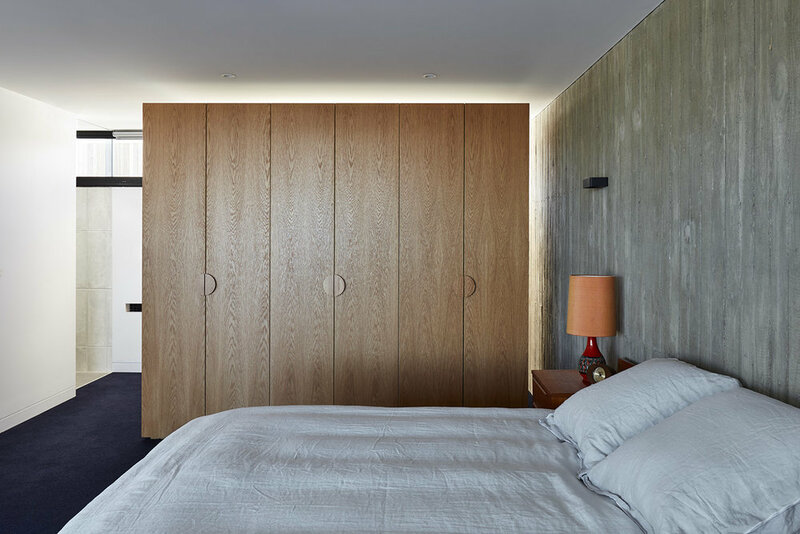 Timber grain in-situ concrete walls have a highly textural experience that changes with the path of the sun, both internally and externally. Timber decking and external cladding softens the concrete and its raw finish that will silver over time depending on exposure to sun and rain. 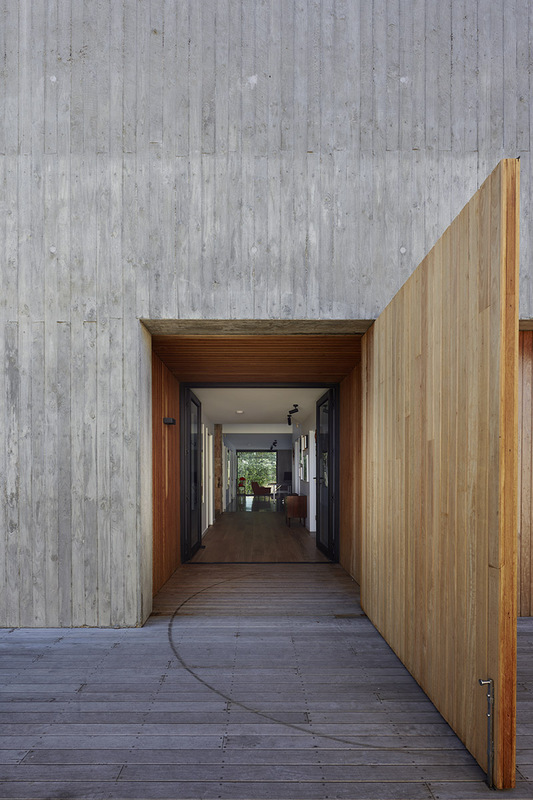 An oversized timber pivot door acts as a ‘gate’ to the main entrance, indicating that the owners are home or concealing the entry entirely for additional security. Internal finishes, lighting and custom details reflect the owners’ passion for mid century design. 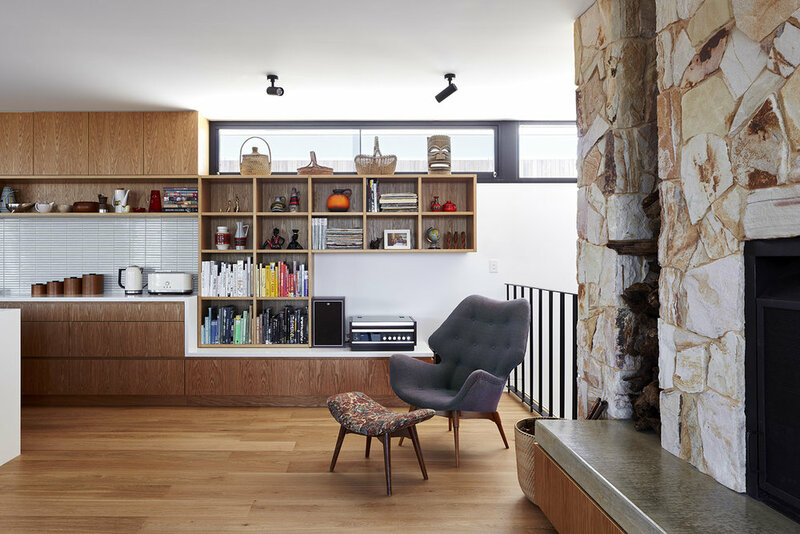 Freeform sandstone and extensive oak joinery compliment their large collection of vintage furniture and retro styling.